The below instructions follow the basic steps we will ask you to follow when you call us with no internet connection. This usually brings your connection back online; in the event this is not the case, a Service Call may be necessary. 1. Remove the black power cable from the power outlet on your power strip. 2. Leave the cable out for at least 30 seconds. 3. Plug the black power cable back in. 4. Light should turn on (should be green, blue or white). 5. Wait another 45 seconds to 1 minute and try your internet connection. 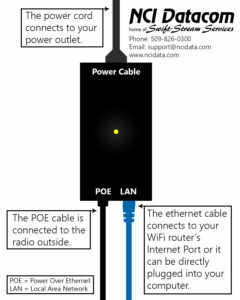 Tip: Make sure that the black cable connected to the POE port comes in from outside through a hole in the wall. *It is highly recommended to have a surge protector. WARNING! Do not press the reset button on the back of your router unless we ask you to! This will prevent you from getting back online. Unplug the router from the power strip. Leave unplugged for at least 30 seconds. Wait another 45 seconds to 1 minute and try your internet connection. 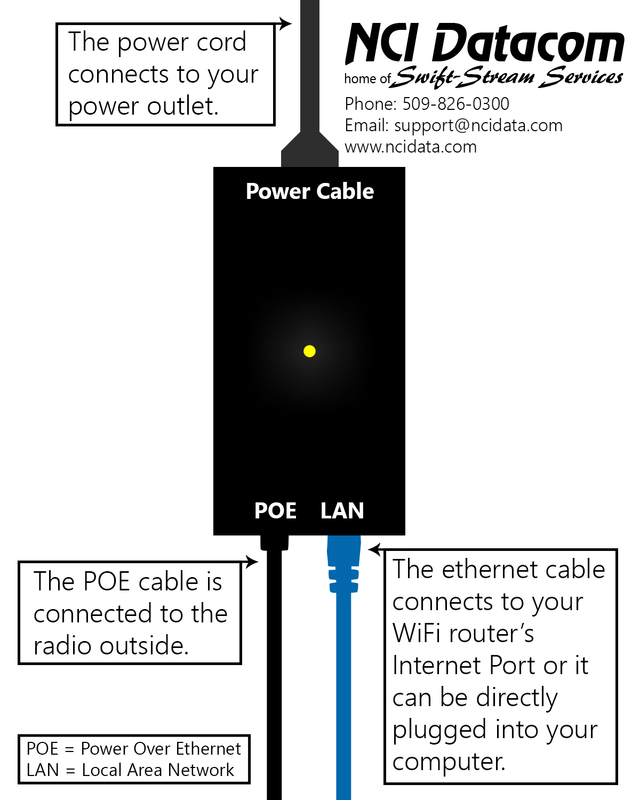 Tip: Make sure that the Ethernet cable that comes from the LAN port on the power supply above is connected to the internet (WAN) port on your router. 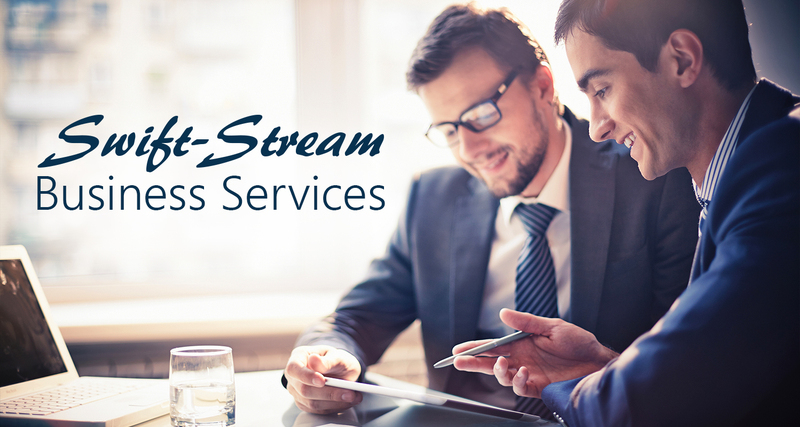 If your connection is still offline, please call our Support Team at (509) 826-0300 or 888-317-7624. You can also submit a trouble ticket online here. Print or download the troubleshooting instructions.